Get 12% discount off your next purchase at Loofes Clothing with this exclusive voucher code. This offer is open to all TroopScout users: serving members, ex-forces, family and fiends. 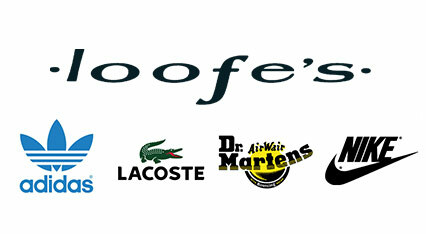 Click ‘Get Code’ to get the voucher and open the Loofes Clothing website. Once you have added items to your basket, click ‘View Basket’. Click ‘Got a Discount Code?’ under your shopping basket on the right hand side to enter your TroopScout promo code. Click ‘Apply’. Once the discount has been applied, continue on to ‘Proceed to Payment’. Adidas, Base, BIRKENSTOCK, Carhartt, Caterpillar, CONVERSE, CROCS, Dr. Martens, Fred Perry, French Connection, GANT, HAVAIANAS, Ralph Lauren, Superdry and many more. Keeping things fresh and up to date to cater to all tastes, Loofes always stock a great selection of brands and new ranges, making them the ultimate shopping destination. Have a ball shopping online with Loofes and save some money to boot!